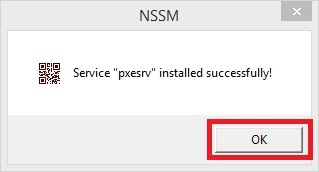 Once Tiny PXE Server has been configured correctly, you may want to consider running it at startup as a service. 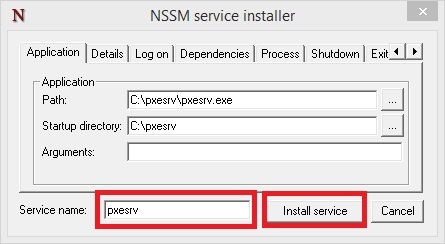 nssm (the Non-Sucking Service Manager) can be used to install and run Tiny PXE Server as a Service. 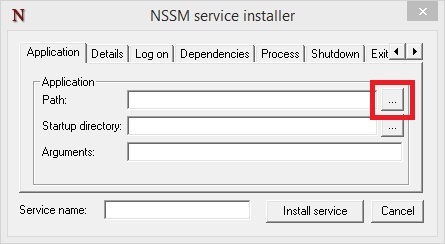 Download nssm from here. 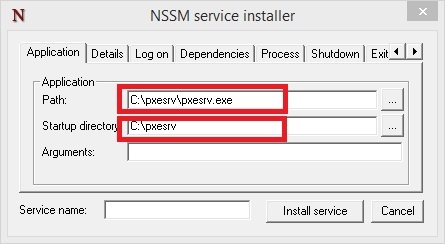 Extract the nssm executable from the download (selecting either 32-bit or 64-bit as required) and copy it to a location in the PATH (e.g. C:\Windows\, C:\Windows\System32\, etc). 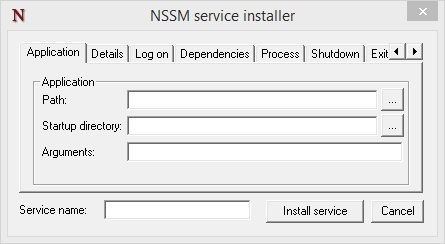 See here for a full list of nssm commands. Tiny PXE Server should now run as a service at startup. As the Tiny PXE Server GUI will no longer be visible, running the Syslog daemon is recommended for logging (see here). The syslog daemon will now log to C:\pxesrv\log.txt - review this file as required for troubleshooting, etc.